Pros Off the charts in terms of power and flexibility. 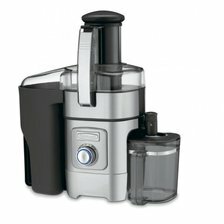 Many owners say that this is the one and only juicer they have ever purchased. 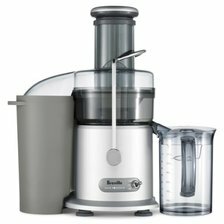 Cons Expensive - but you are paying for the very best juicer on the market. Summary The cream of the crop when it comes to juicers. It minces, chops, and can even work as a pasta extruder. Pros Easy to use and very versatile. Rivals the capabilities of professional-grade juicers. Cons Doesn't quite have as many speeds as the Omega. 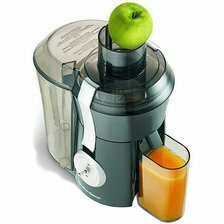 Summary An incredibly good value for a top quality juicer made by a trusted brand for kitchen appliances. Pros A variety of different speeds provide a lot of variety and versatility. The 3'' chute is also very handy for larger materials. Cons On the heavier side. 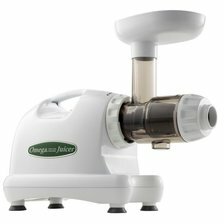 Summary A reliable juicer, but the Breville and Omega are far superior. Pros Incredibly easy to clean relative to the other models. Cons Has been known to break down after repeated day to day use. Summary In between the Black &amp; Decker and the Cuisinart in terms of performance and power. 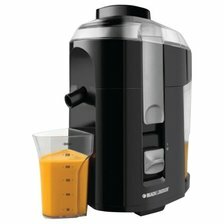 Pros Affordable price for a decent entry-level juicer. Cons Lacks some of the fancier features of the other machines. Summary If you are on a budget and what something super simple, this is one to consider. If you are a bit more flexible on price, we recommend the Breville.